CRM Technology Assessment | Allianctek Inc.
Do you have the right customer info? Take a free technical assessment. When you implement the right technologies, your business runs more smoothly and customers are bound to notice. Whether your business objective is to align your workforce to increase efficiency and productivity, eliminate bottlenecks, or improve the bottom line, AllianceTek’s dedicated team of CRM consultants will ensure that you stay ahead of the competition and keep your customers returning. A CRM consultation with AllianceTek will show you how the right use of technology can scale businesses and help achieve greater and larger milestones. Our CRM consultants will enable you to focus on your business while they apply their expertise to select the technologies to meet your needs. With a CRM consultation, you’ll understand how technology can uniquely advance your business and have a comprehensive roadmap to future possibilities. There’s no risk whatsoever and no obligation to move forward. We know new technology can be overwhelming, so we’re passionate about sharing our knowledge and reduce your stress as much as possible. 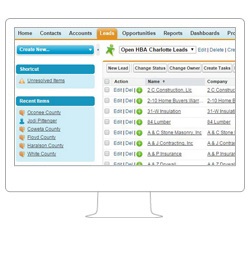 Sugar CRM: Open source and no licensing fees. Recommended as a low-cost solution. 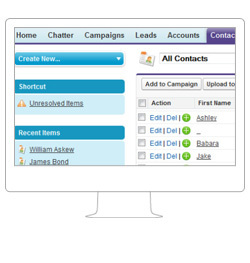 Custom CRM: Recommended for small and medium enterprises. Microsoft Dynamics: Recommended for larger enterprises. Salesforce: Recommended for cloud-based, scalable solutions for reducing infrastructure overheads. 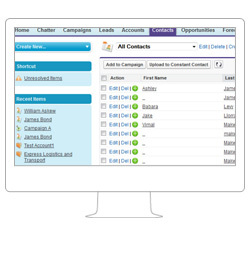 Call AllianceTek and get your no-obligation CRM consultation today. Our CRM consultants will take the first steps in guiding you towards implementing the right technology to address the solution you need.